TIFF taps the nation’s leading filmmakers for its 16th annual Canada’s Top Ten Film Festival lineup, showcasing the top 10 features, shorts and student shorts for 2016. Established in 2001, the festival celebrates and promotes contemporary Canadian cinema to raise awareness of Canadian achievements in film. Running January 13 to 26, 2017 at TIFF Bell Lightbox in Toronto, the expanded 14-day event presents public screenings of the selected films accompanied by introductions and Q&A sessions with directors, as well as special events and industry panels. To commemorate Canada’s upcoming Sesquicentennial in 2017, the festival offers audiences free screenings and events tied to TIFF’s Canada on Screen series which features a curated selection of classic titles from the country’s rich cinematic history. Filmgoers in Toronto will once again vote to crown the Canada’s Top Ten Film Festival People’s Choice Award winner. The Canada’s Top Ten Film Festival tours select films to major cities across the country including stops at Vancouver’s The Cinematheque (January 13 to 22), Calgary’s Globe Cinema (January 13 to 22), Montreal’s PHI Centre (January 14 to 31), Regina’s RPL Film Theatre (January 19 to 22), Edmonton’s Metro Cinema (January 20 to 29), Saskatoon’s Paved Arts in collaboration with the Roxy Theatre (January 26), Winnipeg Film Group’s Cinematheque (March 2017), Halifax’s Atlantic Film Festival & Art Gallery of Nova Scotiaat the Windsor Foundation Lecture Theatre (May 1 to 8), and Ottawa’s National Gallery of Canada (dates TBA). In order to be eligible for the Canada’s Top Ten Film Festival, the film (short or feature) must be directed by a Canadian citizen or resident, Canada must be an official country of production on the film, and the film must have been released commercially or played a major film festival in Canada in 2016. Seal hunting, a critical part of Inuit life, has been controversial for a long time. Now, a new generation of Inuit, armed with social media and their own sense of humour and justice, are challenging the anti-sealing groups and bringing their own voices into the conversation. Director Alethea Arnaquq-Baril (Sol) joins her fellow Inuit activists as they challenge outdated perceptions of Inuit and present themselves to the world as a modern people in dire need of a sustainable economy. A young junior hockey player’s life is shattered by an in-game act of violence. In an instant his life is abruptly turned upside down; torn from the fraternity of the team and the coinciding position of prominence, he is cast out and ostracized from the community. As he struggles with the repercussions of the event, desperate to find a means of reconciliation and a sense of identity, his personal journey illuminates troubling systemic issues around violence. Featuring TIFF Rising Star Jared Abrahamson. After 12 years of absence, a writer goes back to his hometown, planning on announcing his upcoming death to his family. As resentment soon rewrites the course of the afternoon, fits and feuds unfold, fuelled by loneliness and doubt, while all attempts of empathy are sabotaged by people’s incapacity to listen, and to love. Starring Vincent Cassel, Marion Cotillard, Gaspard Ulliel, Nathalie Baye and Léa Seydoux. Nunavut, Canada circa 1913. Kuanana returns from a caribou hunt to discover his wife and daughter kidnapped, and the rest of his family slaughtered. His father’s spirit helper, the loon Kallulik, sets him on course to overturn fate and reunite his family. Starring Benjamin Kunuk, Karen Ivalu and Jonah Qunaq. Co-directed by Natar Ungalaaq, the star of Atanarjuat: The Fast Runner. Mean Dreams is a tense coming-of-age thriller about a 15-year-old boy who steals a bag of drug money and runs away with the girl he loves. While her violent and corrupt cop father hunts them down, they embark on a journey that will change their lives forever. A potent fable at its heart, Mean Dreams fuses the desperation of life on the run with the beauty and wonder of first love. Featuring TIFF Rising Star Sophie Nélisse, Josh Wiggins, Bill Paxton and Colm Feore. A film inspired by the life and work of Nelly Arcan. Nelly is a portrait of a fragmented woman, lost between irreconcilable identities: writer, lover, call girl, and star. Several women in one, navigating between great exaltation and great disenchantment. The film mirrors the violent life and radical work of its subject, paying tribute to a writer who insisted on taking risks. Featuring TIFF Rising Star Mylène Mackay. Klas Batalo, Giutizia, Tumulto, and Ordine Nuovo, four twenty-somethings from Québec, reject the world in which they live. Three years after the collapse of the Maple Spring protest movement, they resort to a form of vandalism that gradually leads them closer to terrorism. But their revolutionary avant-garde is far from society’s prevailing aspirations and threatens to blow up in their faces. Starring Charlotte Aubin, Laurent Bélanger, Emmanuelle Lussier-Martinez and Gabrielle Tremblay. Blaise and Nessa are marginalized methadone users in a small town. Each day they push their rusty lawn mower door-to-door begging to cut grass. Nessa plots an escape, while Blaise lingers closer to collapse. Tethered to each other, their getaway dreams are kept on a suffocatingly short leash. A daring first feature from Canada’s most promising young directors. A single mother navigates raising three young children while clinging to her fading relationship with their father. Boris and his family are preparing to leave his hypochondriac parents and their impossibly tiny Belgrade flat for a long-awaited new life in Canada. However, his 10-year-old daughter Ljubica has entered a contest that is about to subvert everyone’s plans. Frame 394 follows a young man from Toronto who entangles himself in one of America’s most high-profile police shootings. Shifting between striking close-ups, intimate details, and cars spinning around a race track, Les Beiges delicately captures the world occupied by a group of car enthusiasts in St-Eustache, Québec. Reeling from the death of his father, a rebellious 18-year-old struggles with a troublesome new family dynamic. Director Teryl Brouillette emerges as a bold new voice, in this compelling drama with standout performances from Nick Serino (Sleeping Giant) and Steve McCarthy (Picture Day). 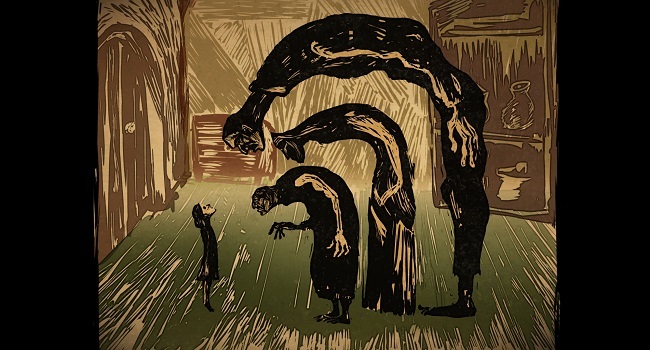 In this playful hand-drawn animation from director Jessica Tai, a dejected student witch summons the courage to face a particularly difficult challenge and cast her spells — with unexpected results. A bounty hunter seeks revenge on a dangerous man after narrowly escaping death, in director Olivia Lindgren’s dark, ambitious, and action-filled western. Beautifully captured through vibrant stop-motion animation, Feathers is a story of love and acceptance in which a mother and daughter struggle to cope with an unusual change. Director Ella Mikkola’s debut film skillfully blends film, photos, and archival childhood footage to create a mesmerizing experimental video collage that explores escape and preserving memory. With assured direction and a clear visual style, Ivan Ramin Radnik’s drama portrays a young man tormented by classmates, haunted by the dead, and consumed by the question of whether he is anything like his violent absent father. 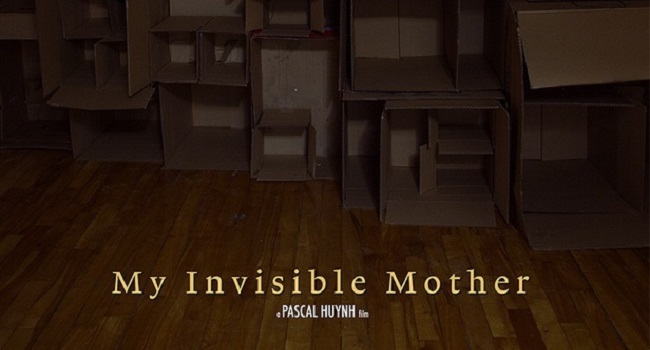 In a creative mix of stop-motion animation and live-action documentary, a man recalls the social realities that forced his mother to put him up for adoption. This delightfully charming and original story about friendship and healing concerns young Rachel, who, having discovered she no longer has a heartbeat, receives little help from adults but is aided by her eager classmate Charlie. A group of pretentious animators with radically conflicting artistic visions attempt to complete a joint project, in this amusing animated mockumentary. Zacharias Kunuk and Jesse Wente in a Live Commentary on John Ford’s The Searchers— Sunday, January 15 at 6:30 p.m. 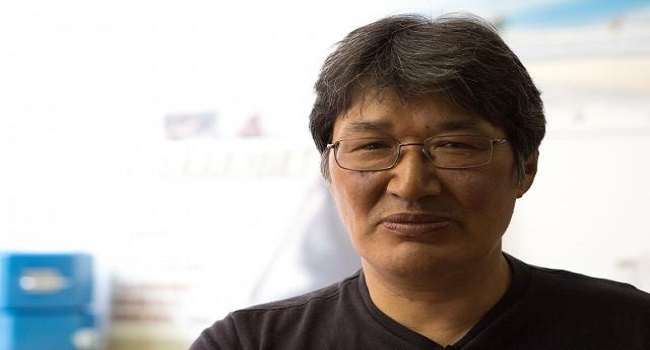 The award-winning filmmaker sits down with Jesse Wente, TIFF’s Director of Film Programmes, for a lively onstage discussion during a screening of John Ford’s The Searchers— the film that inspired Kunuk’s Maliglutit (Searchers). 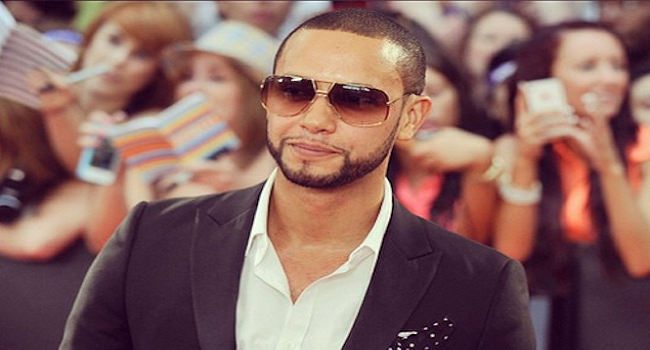 In Conversation With… Director X — Thursday, January 19 at 6 p.m. The mastermind behind hit music videos like Drake’s Hotline Bling and Rihanna’s Work joins Cameron Bailey on stage for a career-spanning look at his work and an in-depth discussion on his creative process. This year’s festival presents a number of classic Canadian titles as part of TIFF’s year-long programme celebrating Canada’s 150th birthday. The country’s rich cinematic heritage includes some of the world’s most important moving-image works — from features, shorts, documentaries, animation, television, experimental works, music videos, commercials and moving-image installations. This free showcase includes two short film compilations comprised of some of the most significant avant-garde, live-action, and animated work ever produced, as well as screenings of Sarah Polley’s Stories We Tell (2012), Atom Egoyan’s Calendar (1993) followed by his work-in-progress film Notes For A Possible Sequel, David Cronenberg’sDead Ringers (1988), Michel Brault’s Les Ordres (1974), Jennifer Baichwal’s Manufactured Landscapes (2006), Xavier Dolan’s Mommy (2014) and Michael Snow’s Wavelength (1967). Additional information about the series is available at tiff.net/canadaonscreen. Tickets and ticket packages for Canada’s Top Ten Film Festival events at TIFF Bell Lightbox are now on sale for TIFF Members and December 14 for the public. Purchase tickets online at tiff.net, by phone from 10 a.m. to 7 p.m. ET at 416.599.TIFF and 1.888.599.8433, or in person at the TIFF Bell Lightbox box office from 10 a.m. to 10 p.m. ET. Pricing as follows: regular screening ticket is $14 (feature film or shorts programmes); purchase the 6ix Pack for $70 and get six tickets for the price of five; ticket to the Opening Night party and film is $50; tickets for In Conversation With… events are $23.75 each.